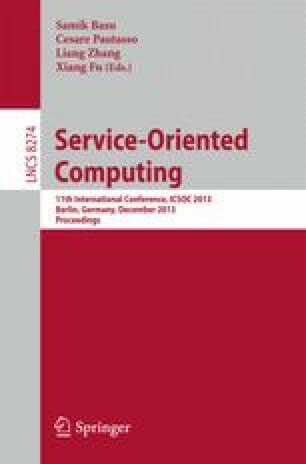 Optimizing the scheduling of tasks in a distributed heterogeneous computing environment is a nonlinear multi-objective NP-hard problem which is playing an important role in optimizing cloud utilization and Quality of Service (QoS). In this paper, we develop a comprehensive multi-objective model for optimizing task scheduling to minimize task execution time, task transferring time, and task execution cost. However, the objective functions in this model are in conflict with one another. Considering this fact and the supremacy of Particle Swarm Optimization (PSO) algorithm in speed and accuracy, we design a multi-objective algorithm based on multi-objective PSO (MOPSO) method to provide an optimal solution for the proposed model. To implement and evaluate the proposed model, we extend Jswarm package to multi-objective Jswarm (MO-Jswarm) package. We also extend Cloudsim toolkit applying MO-Jswarm as its task scheduling algorithm. MO-Jswarm in Cloudsim determines the optimal task arrangement among VMs according to MOPSO algorithm. The simulation results show that the proposed method has the ability to find optimal trade-off solutions for multi-objective task scheduling problems that represent the best possible compromises among the conflicting objectives, and significantly increases the QoS.